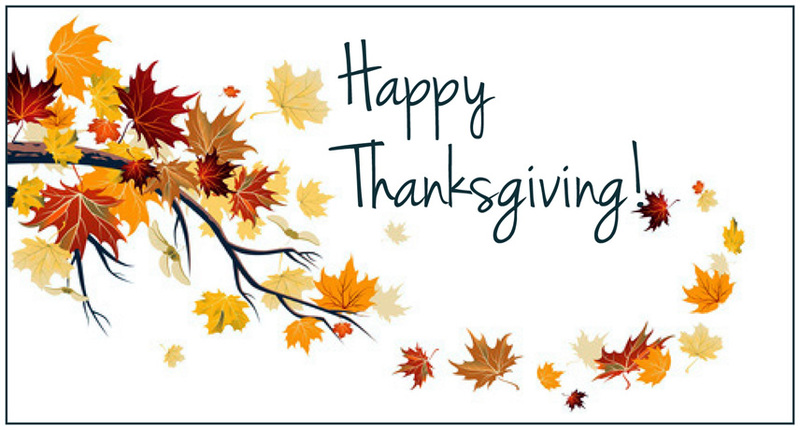 Wishing a safe and happy Thanksgiving Holiday for all U.S. readers of The Wireless Messaging News. Just like the Sunday edition of your print-newspaper, this issue has been expanded with additional content for you to read over the long weekend. By coming out early, it also gives me some extra time to cook a turkey. The extras are definitely not “fillers” — i.e. just meaningless material to take up space. There are some important articles included this week. You may be surprised, as I was, when Marc compares paging to a “tried-and-true” device that we all use and depend on every day to perhaps save our lives. He makes a very good case for the title of his article. Now when someone asks us “When will paging go away?” we can use Marc's answer to this question — along with the many other advantages to paging technology that have been reported in this newsletter. Trying to dispel the false notion that paging is dying or going away is not something new for me. I dug up a paper that I wrote 20 years ago, “Paging's Future” and included it in this issue. Of course some of the stats cited are way out of date and a few of my forecasts may be a little off the mark, but in general I still believe most of what this piece contains. It is sad, however, since my good friend and business partner at that time, Robert Edwards, passed away in 2005. 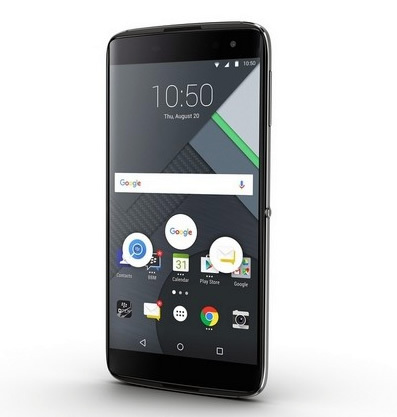 With the new Dtek60 BlackBerry has produced a pretty compelling Android smartphone at a quite reasonable price of Dh1,999, all overlaid with the brand’s security features IT departments supposedly love. It’s just a shame it comes out so late in the game for the company, with its market share lower than ever. The Dtek60 is pretty similar design wise to its predecessor the Dtek50, sporting the same solid, if slightly uninspiring, off-the-shelf form factor of the Alcatel Idol 4S. Looks aside though, the Dtek60 is a massive upgrade on its predecessor; the display is slightly larger at 5.5 inches, and is now Amoled, offering a far higher pixel density and much more vibrant colours. At long last, BlackBerry has finally made a handset with a fingerprint scanner, located on the rear of the phone just below the camera, as per the LG G5 and others. Camera-wise, the Dtek60 now sports a 21MP rear snapper (compared with the 13MP of the Dtek50), with the same 8MP selfie camera as its predecessor. Performance is decent if not stellar, with one or two struggles in low light compared with the iPhone 7 and the best-in-class Samsung Galaxy S7. The Dtek60 is still a BlackBerry at heart. BlackBerry Messenger (BBM), BlackBerry Hub and BlackBerry Intelligent Keyboard are all present and correct for the faithful. There’s even a little red notification light in the top right-hand corner. Plus the brand continues to tout its security features as its trump card. Like its predecessor, the Dtek60’s storage is encrypted right out of the box, while its Dtek app notifies you when the handset camera, microphone and location are being accessed. Additionally, BlackBerry has been active in providing Android security patches faster than any other manufacturer other than Google (for its Nexus and Pixel ranges), something that will continue to appeal to IT managers and the more security-conscious consumers. The Dtek60 at long last provides BlackBerry with a properly compelling smartphone after the overly expensive Priv and the uninspiring Dtek50, offering pretty high performance and solid security at a reasonable price. Such a shame then that it didn’t come out 12 months ago. Wait a minute. I thought BlackBerry had stopped making phones? That’s right, the company announced in September that it had stopped making handsets. But that simply meant that the company was outsourcing production to another company. So, who’s making the Dtek60? TCL of China. UAE consumers will probably know it best for its televisions, but it also sells mobile phones here under the Alcatel brand. Hence the design similarities between the Alcatel Idol 4S and the Dtek60. So BlackBerry handsets will continue? Perhaps; hot on the heels of the Dtek50 and the Dtek60, BlackBerry is already working on the Dtek70, which will almost certainly sport a physical keyboard. But chief executive John Chen has always maintained that the company won’t continue in the handset business unless it can turn a profit. What else should I know about the Dtek60? It runs Android Marshmallow out of the box. Its 3000 mAh battery comfortably lasts through a day of moderate usage. It shares the same programmable convenience key on its right side as the Alcatel Idol 4S, enabling easy access to selected apps and functions. And its memory is expandable up to a whopping 2TB. “10,000 lives could be saved each year if doctors ditched pagers, say NHS chiefs.” I think that whoever wrote this headline didn't read the article very carefully. A Google-owned company Deep Mind is developing a great system in U.K. hospitals “which alerts specialists immediately when patient’s kidneys are deteriorating” — by monitoring test results using artificial intelligence. So that is wonderful, but it has nothing to do with how the message is delivered to the medical doctors! It doesn't have to be sent to a smartphone. A pager would be better as WE know. Pagers work when smartphones don't. Good grief these people drive cars. Delivery of lifesaving techniques and systems has been accomplished throughout history through cost saving and highly effective technologies and inventions. Since its introduction, paging, and its unique network characteristics, has represented the most reliable, most timely, yet most cost effective way of delivering a critical alert for code and urgent messages in a healthcare setting. In this way, paging represents a logical enduring paradigm, much like other examples that exist in our daily life. As an example of other lifesaving inventions and technologies that remain as relevant and important today as they were the first day they were introduced, we have to look no further than the automobile industry. In the late 1940’s and the early 1950’s, automakers Saab and Volvo began introducing seat belts as a safety feature, initially as an option and then as standard equipment. Among U.S. manufacturers, Nash in 1949 and Ford in 1955, similarly offered seat belts as a safety option. After initial designs patented by Saab engineers Roger Griswold and Hugh DeHaven, in the early 1950’s, it was Volvo automobile engineer Nils Bohlin, who, in 1959, ultimately invented the three-point safety belt — the basic design essentially still in use today. Since its introduction, this single safety feature has saved millions of lives. In support of the premise that paging remains logically relevant and vital despite significant and ongoing R&D spending on alternative communication technologies today, the automobile paradigm is instructive. The typical automobile today incorporates significant advanced safety features that have been introduced since the advent of the three-point safety belt in 1959. These technologies include front and side air bags, active head restraints, crumple zones, shock absorbing bumpers, anti-lock brakes, traction control, electronic stability control, and, more recently, radar collision warning systems. These safety technologies have involved research and development spending in the billions of dollars and their total portion of the purchase price of a typical automobile today can exceed twenty percent of the total automobile cost. However, it is widely acknowledged that the single most important piece of safety equipment on an automobile remains the seat belt. In 2016, the cost of seat belts on a typical passenger car was under $1,000 and changes to its basic design have been modest. While communications and automobiles are admittedly vastly different industries, both examples highlight that R&D spending and advanced technologies applications are not always well correlated to assessing the vital importance, continued value and outstanding performance of an original device or feature for safety — or a lifesaving result. In healthcare communications, as in automobile safety, technology advances are best applied in conjunction with paging rather than as a replacement for its superior, existing capabilities. 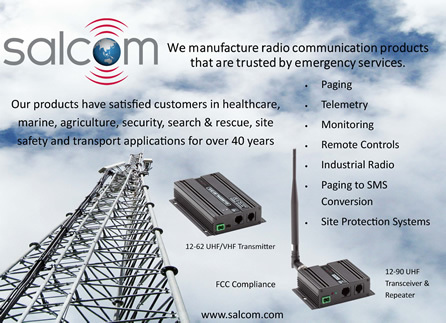 Simply put, paging remains the most cost effective, most proven way to deliver a critical, life saving alert. Those that argue that it is old technology, obsolete and should be replaced should be reminded of how reliable its unique, simulcast network remains. Put another way, when I am asked by someone when paging will go away, I respond by asking when they believe that seat belts will be replaced in their family car despite millions of dollars in ongoing R&D spending annually for automobile safety. This is a “rerun” of an excellent video presentation that was published earlier. Is there a real problem with the paging industry? The sky is falling! Paging is in trouble! 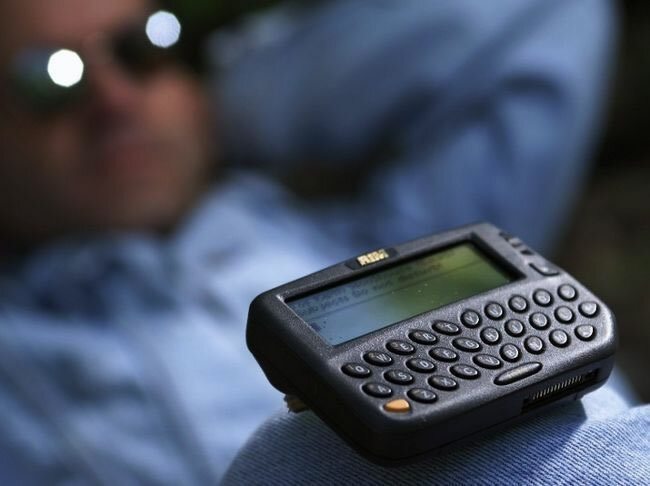 PCS is going to put paging out of business — why use a pager when you can have a telephone in your pocket? Look what's happened to MobileMedia Corporation ! Have you heard these dire prognostications? As professionals with many decades each of experience in the paging industry, we believe that the digital, one-way paging market is far from dying, despite the recent free fall of MobileMedia [discussed below] and its recent filing for reorganization under chapter 11 of the U.S. Bankruptcy Code. We're not all flying to work yet. Fifty years ago futurists thought that by now, people would be flying to work everyday in personal helicopters. A few people do, but it is far too expensive for most people. A small wireless telephone in a person's pocket or purse is, without a doubt, the best way to “keep in touch,” but it too costs too much for a large portion of the population. However, there are a lot more people who can afford to utilize basic paging services rather than a wireless telephone or a two-way pager, as the graphic above shows. There are many people in the higher tiers who routinely carry both a cell phone and a numeric pager. Strong growth will continue. Pager penetration is the percent of the total population of a country or market that uses a pager. Several countries in Asia enjoy a 30 percent penetration rate. The research and consulting firm MTA/EMCI, recently renamed The Strategis Group, estimates that the penetration rate in the United States at the end of 1996 was about 16 percent. That gives the industry a lot of room to continue to grow. Industry experts all predict such continued, strong growth. Thus, it looks like there will be between 80 and 90 million wireless telephones in service by the year 2000, instead of the paltry one million originally forecasted. The best experts in the world have consistently been overly-conservative when predicting the number of subscribers in both the wireless telephone and pager markets. The paging industry as a whole, despite growing pains and blips encountered by some overly aggressive concerns [i.e., MobileMedia], continues to grow larger and faster than anyone has imagined. [We'd like to remind you that at one time the venerable Alexander Graham Bell predicted that someday every city in the country would have a telephone]. The prognosis is for a HEALTHY paging industry . To summarize, the forecasts for paging [both one-way and two-way] in the U.S. market is an expected growth of 20 to 30 million subscriptions by the year 2000 — now that sounds very healthy to us! MTA/EMCI continues to forecast 80 million Cellular/PCS subscriptions, and 60 million paging subscriptions by 2000. The conclusion of Robert Edwards Associates is that there is nothing wrong with the market — just the marketeers. The public wants pagers and it is up to the industry to give them what they want. So, if the market is healthy, why are some of the paging companies unhealthy? It may well be a lack of focus on the core business. Some companies, with MobileMedia as the prime example, have been consumed by merger and acquisition fever and have not focused on growing the core pager market. Motivation, vision, focus, and innovation have to come from upper management. If upper management is not paying attention to the “knitting,” how can a company expect to prosper? It has to flow from the top down — to the troops. When the generals have a good strategy, the soldiers can win the battle. They can win, that is, if they have good training and lots of motivation. Despite the naysayers and its problems, MobileMedia can still make it . Smith Barney Inc., one of the major brokerage houses, issued a summary on MobileMedia on January 31, 1997, the very day it filed for bankruptcy protection. In a section titled “Implications For Other Paging Stocks,” it stated its belief that the financial woes of MobileMedia will have a “negative impact on other publicly-traded paging companies,” and that they may experience near-term difficulties in the capital market. We agree in part, but only to the extent of concerns raised because of MobileMedia's financial difficulties and its ability to restructure and reorganize itself. In a copyrighted article published on MSNBC on-line service on January 28, 1997, two days before MobileMedia's Chapter 11 filing, the author states at one point that, “While a speedy turnaround at MobileMedia is not likely. . .” We disagree strongly, for with a solidly grounded management team, MobileMedia should be able to make a comeback. Under the leadership of paging industry-savvy executives, this business can be turned around in a relatively short period of time. It is interesting to note that even in an article with an otherwise negative cast, the author of the MSNBC article, citing an industry analyst at Bear Stearns & Co., states that, “ . . . by the end of 1997, people will realize that pagers' lower cost, longer battery life and vast coverage area will make them a complement rather than a competitor, to PCS. ” Our point exactly! MobileMedia's buying spree and other missteps . We believe that the financial difficulties experienced by MobileMedia which led to its filing for bankruptcy protection were caused by mistakes made by the management team installed after the departure of MobileMedia's CEO, COO and senior vice president of operations. Over a three-year period, MobileMedia grew to become the nation's second largest paging company, purportedly with 4.5 million pager customers. The Company's growth was accomplished by its acquisition of a number of other paging concerns, financed through the means of $1.2 billion of capital and debt raised through two bond offerings totaling approximately $450 million, $150 million in equity infusion by the San Francisco investment firm of Hellman & Friedman, and $650 million in secured loans from a consortium of banks led by Chase Manhattan Bank. In addition to acquiring other paging operations, MobileMedia participated in the FCC-conducted auctions for the new narrowband PCS frequencies, paying in excess of $50 million to acquire a new narrowband PCS frequency license, and in addition, when it acquires BellSouth's paging facilities, it acquired an additional narrowband PCS frequency, for which BellSouth had paid in excess of $47 million. That sounded exciting to the Company and probably its lenders and investors. However, they all forgot one small detail. To utilize these new frequencies and licenses, MobileMedia would have to build out systems at a cost we estimate to be in excess of $100 million — money the Company would have to now raise. The recent FCC decision in regard to MobileMedia, stripping it of locations, may well be a blessing in disguise. The Chapter 11 case is an opportunity to take corrective action . The Chapter 11 case of MobileMedia presents a unique opportunity for the Company to make substantial changes both internally in its management and strategies and financially, as regards its debt structure after it emerges from Chapter 11. In a discussion with Leon C. Marcus, Esq., of the New York law firm of Phillips, Lytle, Hitchcock, Blaine & Huber, and a leading bankruptcy law expert, he draws the following scenario for a re-emergent, lean and mean MobileMedia. Robert Edwards Associates' rationale for optimism . Early in this article, we stated that it is our opinion that there will indeed be continued, strong growth in the paging industry for the foreseeable future for a number of reasons, which we listed — the self same reasons for optimism cited by the Bear Stearns analyst. We would like to expand on this theme, detailing the specifics for each of the elements. A pager costs less. The conventional pager will always cost less to manufacture than a cellular telephone, a PCS telephone, or a two-way pager. It is a receive-only device. Other wireless devices contain both a receiver and a transmitter. 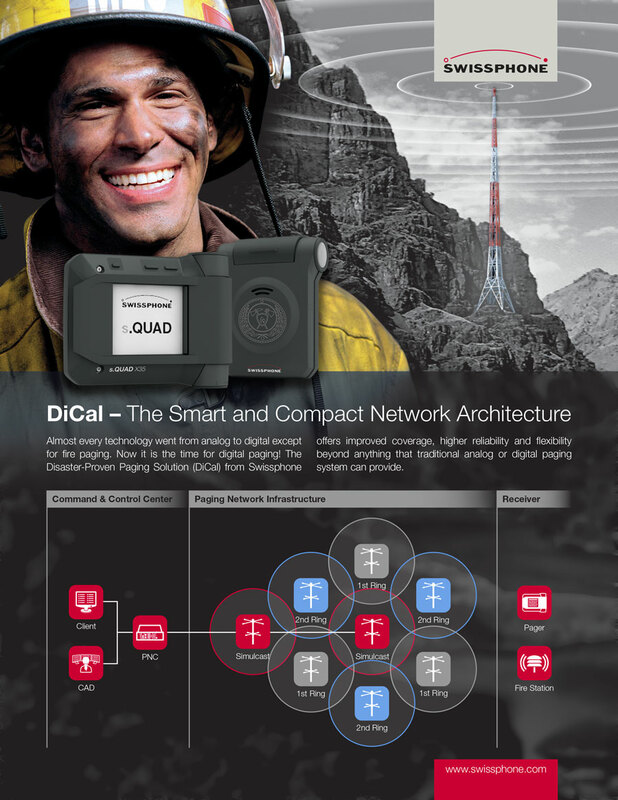 This adds considerable cost to the unit because two radios are required inside the same package. Better battery life. By virtue of being a receiver only, as opposed to being a transceiver (transmitter and receiver), the battery life of a conventional pager will always be much longer than other wireless communication devices. A transmitter consumes much more energy from a battery than a receiver. Several market studies by pager manufacturers have shown that consumers do not like to replace the battery frequently. Batteries last about four months under normal use in the newer pagers. Simulcasting is superior technology. 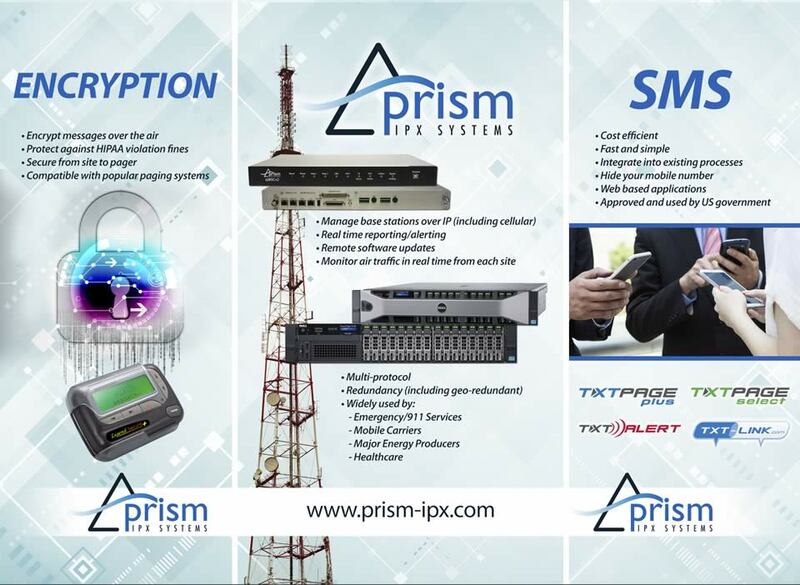 The way information is usually transmitted to a conventional pager is called “simulcasting.” This technical term means “simultaneous broadcasting” from multiple transmitters (and towers). No other wireless service can make this claim. Simulcasting is superior to other methods like cellular, which have to transmit a “where are you” signal from many different cells — this is where the name cellular comes from. This makes paging a little faster, but what is more important, since the signal going out to the pager comes from multiple locations, the chance of successfully getting the message to the pager is dramatically improved. Penetration into buildings, tunnels, and underground parking areas is better because the signals are coming in from several different directions. Better penetration into buildings and fewer missed messages. Like in the theater, if only one spotlight is used, the stage will have harsh shadows and the actors will not be able to be seen clearly. With multiple lights shining from the front and the sides, we can see everything better and enjoy the play. Efficient use of radio resources. There are other technical advantages since all the information being sent to the pager is going out over one radio channel. 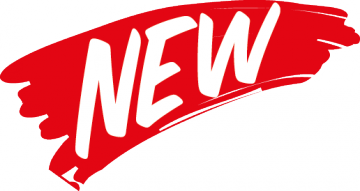 Radio channel licenses cost “big bucks” these days and more paging subscribers can be served on one radio channel with conventional paging than any other type of personal wireless service. Two-way paging requires a different kind of radio channel with a broader bandwidth, and cellular telephone uses hundreds of radio channels. 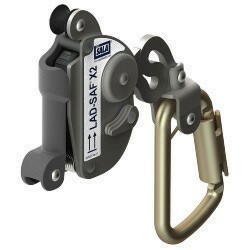 Smaller, lighter weight unit and is more convenient to utilize effectively. How about the size of the device, that is important too! Yes, some of the cell phones are getting very small, but look at the size of the new pagers. Remember a pager only has one radio in it and a cell phone or a two-way pager has two. Did you know that some of the early pagers were the size of a bread box? They were installed in trucks and were very heavy. Modern pagers have become very small. Some are the size of a box of matches, some are built into wrist watches, some look like fountain pens, and some are worn as a pendant on a cord or chain around the neck. The conventional one-way pager should always be smaller than other wireless devices. Conclusion. Robert Edwards Associates strongly believes that the paging industry has the ability to continue to experience robust growth into the new millennium and beyond, and produce meaningful profits for its stockholders and investors. Edwards Robert Edwards is recognized by many as the driving force behind the personal telecommunications industry. He founded Radiofone Corporation in 1969, which in its present incarnation, is MobileMedia Corporation. Radiofone, because of its many innovations in the paging field, grew at twice the national average for paging companies, and became the largest radio paging operation in the United States — both in terms of geographic area and number of pagers served. In 1982, Radiofone was sold to Metromedia, the broadcasting conglomerate. Metromedia chose Mr. Edwards to head its new nationwide telecommunications division by naming him Chairman and Chief Executive Officer of this division. He subsequently became Vice President of Metromedia, Inc. Mr. Edwards formed Cellufone Corp., a paging operation located in the Washington DC/Maryland area, and became its President. Cellufone was sold to MobileComm in 1992. Mr. Edwards is one of the founders of Robert Edwards Associates, a consulting firm in the telecommunications industry. Through his work with major paging manufacturers, both in the United States and Japan, Mr. Edwards assisted in the design of the first numeric display and alphanumeric display pagers. Mr. Edwards is the holder of a number of patents on components and processes in the electronics industry. Bradley Dye is Vice President of Sales and Marketing at Real Time Strategies, Inc. [RTS], a networking-solutions provider to the wireless industry. Mr. Dye has been involved in radio communications and electronics for over thirty years and is a specialist in radio paging and cellular telephone systems. He has traveled to over fifty-five countries in Sales and Marketing roles. Mr. Dye has been involved with the installation of paging systems and the supply of pagers to major service providers in Europe, Scandinavia, Mexico, South America, the Middle East, and Asia. Previously, Mr. Dye was with Motorola's Paging Products Group, where he was the manager of Market Development for paging infrastructure in forty-seven territories in Latin America and the Caribbean. Prior to that, he was International Market Development Manager for Motorola's Paging Products Group, with responsibility for worldwide marketing of pagers. He has written various technical and marketing papers about paging and the paging industry. Source: This paper was written 20 years ago by Brad Dye, with behind-the-scenes editing done by Bill Kaye, a New York attorney. “We, too, remember a time before smartphones when it was reasonable to conclude that when you activated service with T-Mobile that only T-Mobile would have access to our personal information. However, with the Samsung Galaxy Note, the iPhone, and many other devices, there are indeed a variety of parties that may collect and use information .” — T-Mobile Privacy Team ( November 6th, 2015/FCC Consumer Complaint #423849/Public Record ). The full letter can be downloaded from my website Terms May Apply (see link below). When I purchased smartphones for myself and family, T-Mobile did not mention that a multitude of international corporations would access, collect, aggregate, and use our telecom related personal and professional information for profits. I had to file a formal privacy complaint with the FCC to get T-Mobile to admit that smartphones are not a private form of telecommunications and computing. As a matter of fact, my research confirms that nearly 100% of all smartphone related activity is recorded, collected, aggregated, and used by a multitude of international corporations (see link to my website for details). The personal and professional information collected from our smartphones by multinational corporations includes the user’s ID, contacts, calendar data, text messages, email attachments, call logs, motion data, location data, fitness data, auto telematics, plus other highly sensitive user information. Third-parties are also able to access hardware such as the camera and microphone to take pictures, record audio, and video without the consent of the device user. Third-parties are collecting telecom related information that should be protected by due process and the 4th amendment. Furthermore, my smartphone contained nontransparent predatory apps that can access personal and professional information from multiple sources such as any connected technology that can sync to the smartphone. This means that without consent or knowledge, third-parties are capable of hacking information from any PC, smartTV, connected auto, tablet PC, social media pages, plus any source that can sync to the phone (see enclosed syncing app permission). This means that third-parties (Google, Apple, & others) are hacking personal and professional information from multiple sources by the use of nontransparent predatory syncing apps and cross user data mining apps that can hack information from multiple users whom are connected playing a game or sharing information. Due to the nontransparent data mining business practices (apps & complex T&C’s) employed by companies such as T-Mobile, AT&T, Apple, Google, Samsung, and others, I believe legal experts and law makers need to address questions pertaining to deceptive trade practices and fraud inducement. To clarify, my documentation coupled with T-Mobile’s admission has confirmed that multinational corporations are monitoring, tracking, and data mining US citizens, business professionals, public servants, and children under 18 via protected telecom products such as smartphones. Parents are unaware that many multinational corporations are collecting, aggregating, and using highly sensitive user data collected from children under 18 without parental consent. My research, documentation, and analysis also has brought to light numerous personal and professional privacy concerns that include third-party access to personal information, business data, and medical data. The New York Times just published an article pertaining to leaky apps with back doors to China found by Kryptowire ( http://mobile.nytimes.com/2016/11/16/us/politics/china-phones-software-security.html ). My findings coupled with Kryptowire’s findings confirms that there are numerous mobile threat concerns associated with allowing third-parties to use nontransparent methods to data mine protected telecom related personal and professional information from US citizens via their cellular telephones (smartphones). I have found the backdoor to BAIDU (China) plus other backdoors to multinational corporations two years ago while doing my research. In April of 2015, I escalated my findings to T-Mobile and Samsung. In July of 2015 I escalated my findings to the FCC and in November of 2015 I escalated a report specific to backdoors to T-Mobile, Samsung, and the FCC. In addition I have escalated these threats to the Department of Homeland Security (“DHS”) in Aug of 2016. To date I have not received any confirmation that T-Mobile, Samsung, the FCC or the DHS are following up on the mobile threats I highlighted and sent to their attention. The issue with backdoors to multinational corporations is wide spread and systemic to all connected products which means that there is nothing private when using PC’s, connected autos, smartTV’s, wearable Tech, tablets, in-building climate control systems (nest), and other IoT connected technology which contain surveillance and predatory technology. US citizens are inviting the world into their lives when they use connected products and services laced with nontransparent surveillance and predatory pre-installed technology (apps) that cannot be un-installed, controlled, or disabled by the user. Connected product users are in essence uncompensated personal information producers whom are being exploited by companies such as AT&T, T-Mobile, Google, Apple, Samsung and others. Consumers are paying the bills while these companies exploit their personal and professional information for profit while not being transparent to the product owners and users. I am seeking transparency pertaining to all data mining practices employed by T-Mobile, AT&T, Apple, Google, Samsung, and others. These companies are legally responsible for providing full transparency to their paying customers. I want know how our personal information is being sold, shared, used, purchased, and aggregated by all parties whom have access to the information. In addition, I am appealing to law makers to establish an electronic bill of rights enabling connected product owners and users the ability to control whom can have access to their personal information. Product users should be able to uninstall and disable any intrusive surveillance and predatory technologies. Product users should have full control over any app permission and be able to deny any app permission. Product users should be able to opt out while still participating in regards to products and services that require payment to participate. Telecom subscribers and consumers should not be subject to complex terms and conditions that are impossible to read and understand. US citizens should not have to give up their 4th amendment rights and due process simply because they accepted a set of predatory T&C’s associated with connected products and services. It is unknown if state actors (friendly/hostile/foreign/domestic) can access or buy personal information from companies such as Google which would enable the state actors to circumvent a smartphone users’ 4th amendment rights and due process. I am seeking help from lawmakers to force T-Mobile, AT&T, Apple, Google, Samsung, and others to be transparent about their data mining business practices and how personal and professional information is being used, shared, sold, purchased, and aggregated. It would be unsettling for me to understand that I am paying for products and services that could bring harm to my loved ones, myself, and my business dealings. Please feel free to contact me for more information. I expect legal experts and law makers to take action. You can contact me at RLee@TermsMayApply.com P.S. Please Take Action & Demand Transparency! Disclaimer: I am not confirming that any company mentioned is unlawfully collecting personal and professional information. I am not confirming that any company mentioned is unlawfully misusing any personal and professional information. Public safety authorities and organisations (BOS) in Hesse are now able to use the Tetra pager P8GR from Airbus Defence and Space. 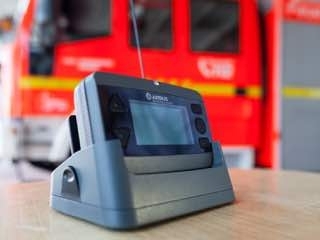 This device for a two-way communication system is now being delivered to at least 50,000 fire fighters and other rescue and relief workers in the German regional state of Hesse. Operational deployment of the device has now officially started. The P8GR met the certification requirements of the German Federal Agency for Public Safety Digital Radio (BDBOS). It also satisfied the functionality, interoperability and safety requirements set for Germany’s BOS digital radio network in the course of its final acceptance by the Hesse Ministry of the Interior and Sports. The Hesse BOS tested a total of 1,000 devices and their accessories during the successful comprehensive field and function tests. This was founded on the fact that Airbus Defence and Space developed the P8GR jointly with future users, staying in constant contact with them. “This final acceptance sends out a signal for our markets in Europe, because Airbus Defence and Space has swiftly developed a mission-critical innovation into a product that is suitable for the most demanding markets,” says Markus Kolland, Head of Sales and Delivery for Europe and Africa of Secure Land Communications at Airbus Defence and Space. In contrast to existing analogue devices, the P8GR enables secure two-way communication between the control centre and the operational units. 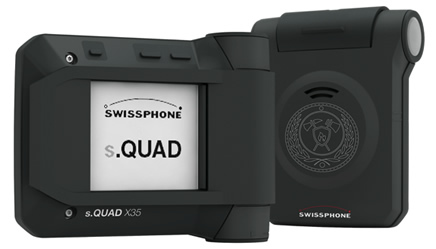 It offers all the essential Tetra features for alerting groups, subgroups and individuals. At the same time, the P8GR allows the planning and dispatching of emergency services personnel in real time. It is expected that the entire emergency personnel in Hesse will be using the pager by the end of 2018. 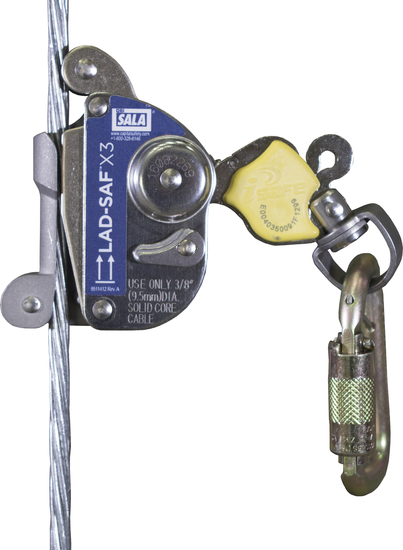 A notification yesterday from NATE stated that 3M Fall Protection (formerly Capital Safety) has identified a limited number of Lad-Saf X2/X3 sleeves with the locking lever not working properly. This condition can allow the sleeve to disengage from the cable during use. The assembly error is believed to affect only a limited number of units and has been corrected. There have been no accidents or injuries related to this issue. NATE encourages all member companies and industry stakeholders to consult the Inspection Notice for more details. ABI Research’s latest study dubbed the “Outdoor Small Cell Forecast” is out and shows outdoor small cells will have a “healthy” 38 percent CAGR (Compound Annual Growth Rate) through 2021, as reported on by YAHOO Finance. LTE small cells are the fastest growing small cell type in 2016, thanks to venue and dense urban deployments. The research study also predicts that LTE small cells will double by the end of the year and each year after Mobile Network Operators “put in place the framework for 5G deployments.” YAHOO reports that by 2021, the value of LTE small cells will amount to almost 70 percent of the entire equipment market. MNOs are finding that deploying small cells is an effective way to boost network capacity in both urban and suburban markets with high traffic. "MNOs on every continent, such as China Mobile, Verizon, and Vodafone, among others, are now investing in network densification," Nick Marshall, Research Director at ABI Research, told YAHOO Finance. ”The results of this can be seen in the ramp of small cells this year." The research study also predicted that LTE’s growing networks and 4G deployments in the Asia-Pacific region will represent almost half of the worldwide small cell equipment market by 2021. A $12,000 donation from Enbridge will help Pelham Fire Department replace its pagers. Brent Bullough, community engagement adviser with Enbridge, presented a cheque to Mayor Dave Augustyn and fire Chief Bob Lymburner during Pelham town council’s regular meeting Monday. The donation comes from the company’s Safe Community Program. It provides financial help to purchase equipment or training for municipal first responders. Pelham has an Enbridge pipeline crude oil carrier that runs from Hamilton to a refinery on the east side of the Niagara River in New York. It’s one of three pipelines crossing the town. Lymburner said Pelham applies to the safety program each year and has received donations before. Pelham will have to spend an estimated $400,000 over the next couple of years, he said, to replace and upgrade pagers, radios and other communication equipment for firefighters, fire trucks and fire stations. Niagara Region is standardizing its police, fire and emergency measures communication systems. Currently each is different. “We are pleased to receive this generous donation from Enbridge to help upgrade some of our emergency communications equipment,” he said. Since its inception in 2002, the Enbridge safe community program has given about $9.3 million to organizations across North America. “The Town of Pelham’s efforts to update and modernize its emergency communications systems will contribute to a safer community for everyone,” said Bullough. Pelham Fire Services has 91 active volunteer firefighters trained in CPR and first aid, defibrillation, suppression services, vehicle extrication, fire prevention and public safety. Volunteers from stations in Fonthill, Fenwick and North Pelham protect more than 16,000 residents and nearly 7,000 properties. BloostonLaw wishes our clients a Happy Thanksgiving Holiday. All carriers less than 80 percent deployed with 10/1 broadband service are required to select a methodology for calculating deployment obligations and inform the Universal Service Administrative Company (USAC) by December 5th, 2016. Each carrier can choose to have its deployment obligation determined by one of two methods: the applicable CAF-BLS amount divided by (1) the average cost of providing 10/1 Mbps service, based on the weighted average cost per loop of carriers that have deployed 10/1 Mbps service to 95 percent or more of the locations in their study area, or 150 percent of the weighted average cost per loop of companies with similar density and level of deployment, whichever is greater, or (2) the Alternative Connect America Cost Model’s calculation of the cost per location of providing 10/1 Mbps service in the unserved census blocks in the carrier’s study area. Specifics on the deployment obligation under each method for each study area are available at: https://transition.fcc.gov/wcb/SacBuildoutSheetDisplay.xlsx. Carriers with questions should contact the firm without delay. On October 6, the FCC released an Order establishing procedures for the filing of access charge tariffs and Tariff Review Plans (TRPs) for incumbent local exchange carriers (LECs) subject to rate-of-return regulation (rate-of-return LECs) that elect to offer broadband-only loop service beginning January 3, 2017, whether on a tariffed or detariffed basis. This includes rate-of-return LECs subject to either section 61.38 or section 61.39 of the Commission’s rules, whether they elect model-based support or Connect America Fund Broadband Loop Support (CAF BLS). 15-day tariff filings are due by December 19. On November 18, the United States Court of Appeals for the District of Columbia Circuit issued an order vacating and remanding the FCC’s Declaratory Ruling of February 11, 2015, in which the FCC held that the VoIP Symmetry rule adopted in the USF/ICC Transformation Order is technology and facilities neutral, and therefore does not require a competitive LEC or its VoIP provider partner to provide the physical last-mile facility to the VoIP provider’s end user customers in order for the competitive LEC to be eligible to assess access charges for this service. AT&T challenged the FCC’s Declaratory Ruling on two grounds: first, the ruling cannot be upheld as an interpretation of the Transformation Order; and second, that it was arbitrary and capricious for the FCC to apply that interpretation retroactively. As the court summarized, “The Federal Communications Commission says that they are end-office switching services. Petitioner AT&T says that they are tandem switching services.” Regarding the first argument, the court held that the Declaratory Ruling “did not disclose the FCC’s reasoning with the requisite clarity to enable us to sustain its conclusion.” As a result, the court vacated the Declaratory Ruling and ordered the FCC to better explain its conclusion, and did not need to reach the second issue. The VoIP symmetry rule, codified in section 51.913(b) of the FCC’s rules, permits a local exchange carrier to assess and collect reciprocal compensation charges regardless of whether the local exchange carrier delivers the traffic itself or uses a VoIP provider to do so, as long as the VoIP provider does not itself seek to collect the Reciprocal Compensation charges. An ISP zero-rating its own or unaffiliated content but excluding competitors should be considered a violation of net neutrality. ISPS charging fees to zero-rate content should be considered a violation of net neutrality. The FCC should pay close scrutiny to the impact of zero-rating plans in which the ISP, not the consumer, has the power to choose which applications, websites, and services are zero-rated. Application agnostic zero-rating should be reviewed, but does not pose as great a concern. On November 18, the FCC issued a Notice of Apparent Liability proposing a penalty of $100,000 against WDT World Discount Telecommunications Co., Inc. (WDT) for an apparent violation of the FCC’s universal service reporting obligations by failing to file one annual revenue report, and for transferring, without prior FCC approval, certain assets, including its customer base, and for collecting USF surcharges on which it had no contribution obligation. According to the NAL, WDT failed to timely submit an Annual Worksheet – also known as the 499 reporting revenue for 2012, which was due April 1, 2013. WDT submitted its 2013 Annual Worksheet on November 27, 2015, more than 31 months late. Pursuant to Section 54.711(a) of the Rules, telecommunications providers such as WDT are required to timely file Telecommunications Reporting Worksheets to provide the information necessary to calculate amounts that a service provider must contribute to federal regulatory programs. On January 1, 2016, WDT consummated a transfer of its assets, including a transfer of its customer base, to Master Call Connections LLC, another telecommunications provider, without obtaining prior Commission approval. Section 214 of the Act requires telecommunications carriers to obtain a certificate of public convenience and necessity from the Commission before constructing, acquiring, operating, or engaging in the transmission of common carrier communications services over communications lines, and before discontinuing, reducing, or impairing service to a community. In addition, the Commission’s Rules also state that sales of assets that include a company’s customer base should be treated as transfers of control requiring Commission approval. Pursuant to Section 54.706(c), WDT qualified for LIRE from 2011-2015 because its interstate revenue equaled less than 12 percent of its combined interstate and international revenue. As a result, WDT was exempt from contributing to the USF based on its international revenues. However, upon investigation, WDT apparently billed customers for excessive and unlawful USF surcharges for international service this entire period, despite having no USF contribution obligation on those revenues. BloostonLaw Contacts: Ben Dickens, Gerry Duffy, John Prendergast, Mary Sisak, and Sal Taillefer. On November 17, the FCC announced a formal agreement between its Enforcement Bureau and the Canadian Radio-Television and Telecommunications Commission to work together to combat unlawful robocalls. The Memorandum of Understanding represents the FCC’s commitment to working cooperatively with international regulators to combat robocalls and caller ID spoofing. Under the agreement, the two agencies agree to cooperate on enforcement matters related to unlawful robocalls and caller ID spoofing. These agencies have also committed to exchange information about investigations and complaints, share knowledge and expertise, provide information about legal theories and economic analysis, keep each other abreast of significant legal developments, and provide other appropriate assistance. This agreement follows on the heels of a similar memorandum of understanding that the Enforcement Bureau signed last June with members of the Unsolicited Communications Enforcement Network (formerly the London Action Plan). This coalition coordinates and promotes international cooperation and activities targeting unlawful communications like robocall and robotext scams. Members, like the FCC, share intelligence, identify common threats, learn from each other’s best practices, and assist each other with investigations where permissible. On November 21, President-elect Donald Trump announced Jeffrey Eisenach and Mark Jamison to head the FCC’s transition from Democratic to Republican control. Eisenach is the managing director and co-chair of the communications, media and Internet practice NERA Economic Consulting, an adjunct professor at George Mason University School of Law, and director of the Center for Internet, Communications, and Technology Policy at the American Enterprise Institute (AEI). He previously worked on the Reagan and George H.W. Bush transition teams. Jamison heads the Public Utility Research Center at the University of Florida, and is a visiting fellow at AEI. JANUARY 17: HAC REPORTING DEADLINE. The next Hearing Aid Compatible (HAC) reporting deadline for digital commercial mobile radio service (CMRS) providers (including carriers that provide service using AWS-1 spectrum and resellers of cellular, broadband PCS and/or AWS services) is Tuesday, January 17, 2017 (by operation of FCC rules, the Sunday, January 15th date is pushed to the next business day and Monday the 16th is the Martin Luther King Day federal holiday).. Non-Tier I service providers must offer to consumers at least 50 percent of the handset models per air interface, or a minimum of ten handset models per air interface, that meet or exceed the M3 rating, and at least one-third of the handset models per air interface, or a minimum of ten handset models per air interface, that meet or exceed the T3 rating. Month-to-month handset offering information provided in annual reports must be current through the end of 2016. With many of our clients adjusting their handset offerings and making new devices available to customers throughout the year, it is very easy for even the most diligent carriers to stumble unknowingly into a non-compliance situation, resulting in fines starting at $15,000 for each HAC-enabled handset they are deficient. Following the T-Mobile USA Notice of Apparent Liability (FCC 12-39), the Commission’s enforcement policy calls for multiplying the $15,000 per-handset fine by the number of months of the deficiency, creating the potential for very steep fines. It is therefore crucial that our clients pay close attention to their HAC regulatory compliance, and monthly checks are strongly recommended. In this regard, we have prepared a HAC reporting template to assist our clients in keeping track of their HAC handset offerings, and other regulatory compliance efforts. ALL SERVICE PROVIDERS SUBJECT TO THE COMMISSION’S HAC RULES – INCLUDING COMPANIES THAT QUALIFY FOR THE DE MINIMIS EXCEPTION – MUST PARTICIPATE IN ANNUAL HAC REPORTING. To the extent that your company is a provider of broadband PCS, cellular and/or interconnected SMR services, if you are a CMRS reseller and/or if you have plans to provide CMRS using newly licensed (or partitioned) AWS or 700 MHz spectrum, you and your company will need to be familiar with the Commission’s revised rules. BloostonLaw contacts: Cary Mitchell and Sal Taillefer. Dec. 2 – Deadline to File Notice of Forbearance Election for Lifeline Broadband Support. Dec. 2 – Comments are due on AT&T Tariff Forbearance Petition. Dec. 5 – Deadline to Select CAF-BLS Deployment Obligation Methodology. Dec. 19 – Deadline for 15-Day Tariff Filings. Dec. 19 – Reply comments are due on AT&T Tariff Forbearance Petition. Dec. 20 – Form 323 (Biennial Ownership Report) is due. Dec. 22 – Reply comments are due on PLMRS NPRM. Dec. 27 – Comments are due on the Independent Programming NPRM. Dec. 27 – Deadline for 7-Day Tariff Filings. Dec. 27 – Deadline for Petitions re: 15-Day Tariff Filings. Dec. 29 – Deadline for Petitions re: 7-Day Tariff Filings (noon, EST). Dec. 30 – Deadline for Replies to Petitions re: 15-Day Tariff Filings (noon, EST). Dec. 30 – Deadline for Replies to Petitions re: 7-Day Tariff Filings (noon, EST). Jan. 23 – Reply comments are due on the Independent Programming NPRM. This newsletter is not intended to provide legal advice. Those interested in more information should contact the firm. For additional information, please contact Hal Mordkofsky at 202-828-5520 or hma@bloostonlaw.com. Do you have idea how can help us to replace DID wink start trunk on zetron 2200 terminal. The phone company will go down this service and we would like to convert to PRI but zetron don’t provide card for PRI now. A powerful new satellite that will give forecasters their best-ever looks at storms and other severe weather has taken to the skies. The GOES-R weather satellite lifted off from Florida's Cape Canaveral Air Force Station today (Nov. 19) at 6:42 p.m. EST (2342 GMT), riding a United Launch Alliance Atlas V rocket to orbit. 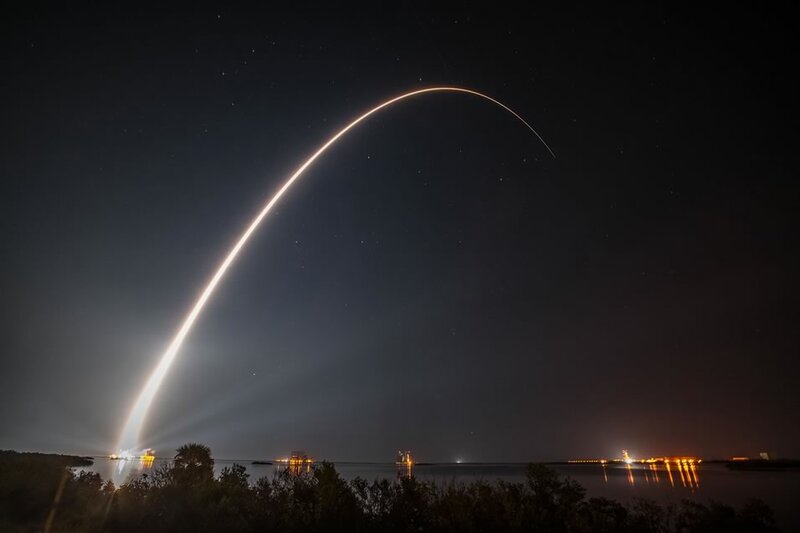 The spectacular launch, which lit up the Florida evening sky, occurred about one hour later than planned due to issues with the rocket and launch range that were swiftly resolved. A United Launch Alliance Atlas V rocket launches the advanced new GOES-R weather satellite into orbit from Space Launch Complex 41 at Cape Canaveral Air Force Station, Florida on Nov. 19, 2016. "Without a doubt, GOES-R will revolutionize weather forecasting as we know it," Stephen Volz, assistant administrator for NOAA's Satellite and Information Services division, said during a pre-launch news conference on Thursday (Nov. 17). "For weather forecasters, GOES-R will be similar to going from a black-and-white TV to super-high-definition TV," Volz added. "For the American public, that will mean faster, more accurate weather forecasts and warnings. That also will mean more lives saved and better environmental intelligence for state and local officials and all decision makers." The GOES-R satellite streaks into space aboard an Atlas V rocket in this long-exposure view of its successful launch from Cape Canaveral Air Force Station in Florida on Nov. 19, 2016. Famed NBC Today Show weather man Al Roker, one of many TV meteorologists who attended the GOES satellite launch, agreed with Volz. "What's so exciting is that we're going to be getting more data, more often, with much more detail and higher resolution," Roker told NASA's Stephanie Martin during live launch commentary today. The new GOES satellite will help improve not only weather forecasts but hurricane and tornado predictions as well, Roker added. "If we can give people another 10, 15 or 20 minutes, we're talking about lives being saved," Roker said. Artist's illustration of the GOES-R weather satellite in space. GOES-R launched on Nov. 19, 2016, and will reach its final geostationary orbit about two weeks later (at which point its name will change to GOES-16). The GOES satellites operate from geostationary orbit, about 22,300 miles (35,890 kilometers) above Earth's surface along the equator. At this altitude, their orbital speeds match the rotational speed of Earth, so the spacecraft can keep continuous tabs on the same stretch of land. In this case, that means the United States and much of the rest of the Western Hemisphere. NOAA officials said that GOES-R's six-instrument suite represents a big upgrade from the equipment on GOES-East and GOES-West, which launched in 2006 and 2010, respectively. For example, GOES-R's primary instrument, called the Advanced Baseline Imager (ABI), will gather three times more data, with four times higher resolution, than comparable gear on GOES-East and GOES-West. And ABI will be able to scan the landscape five times faster to boot, NOAA officials said. GOES-R is also the first satellite to carry a lightning mapper to geostationary orbit. This instrument will photograph lightning activity throughout the Western Hemisphere about 200 times every second, NOAA officials said. "When you compare all those [photos], you get a sense of where the severe weather is starting to really brew," Greg Mandt, GOES-R system program director at NOAA, said during the same news conference. "So with this information, the weather service will be able to make longer lead-time forecasts of severe weather and do it with much higher confidence, reducing false alarms." GOES-R should also increase the accuracy of forecasts in the space-weather realm, Mandt added. One of the satellite's instruments will image the surface of the sun, for instance, while others will monitor the amount of energy coming from the star and the activity of charged particles zooming near Earth. All of this information should give researchers a heads up about solar storms that could affect satellite navigation, power grids and other infrastructure, NOAA officials have said. GOES-R won't start doing this work for a while; it's scheduled to begin operations about one year from now, after a lengthy checkout and validation phase. At that point, the satellite will take over for either GOES-East or GOES-West; it's unclear, at the moment, which spacecraft the newcomer will replace, Volz said. GOES-R is designed to operate for 10 years, though it has enough fuel on board to last for 18 years, Volz said. The three GOES-R satellites yet to begin their missions — currently known as GOES-S, GOES-T and GOES-U — are scheduled to launch in 2018, 2019 and 2024, respectively. This staggered slate should ensure that two satellites will continue collecting high-quality weather data as GOES-East and GOES-West through at least 2036, Mandt said. The GOES-R program has a total budget of $10.8 billion through its entire life cycle, which runs from 2005 (when development began) through 2036. The project had already spent about $6.1 billion by the end of fiscal year 2015, NOAA officials have said. The aerospace company Lockheed Martin is building the four GOES-R satellites. 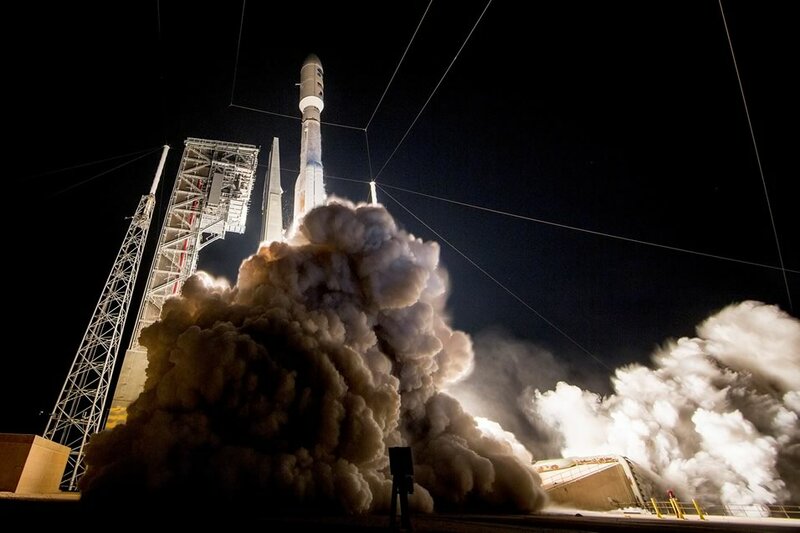 NOAA manages the GOES-R program, with assistance from NASA.